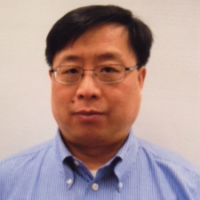 Dr. Xiang has extensive experiences in fixed income, quantitative equity, and commodities. His experiences include designing investment products, creating trading strategies, and developing analytic tools. During his career, George worked as Head of Global Fixed Income Research at SSGA, a senior quantitative analyst at Loomis Sayles & Company and quantitative research manager at Conseco Capital Management. George received a PhD in mathematics and MS in computer science from Purdue University, and BS in mathematics from Nankai University. He is CFA and FRM charter holder. He has numerous publications in finance, mathematics, and computer science. Also, George has one patent pending that involves investment technology and products. Liam joins the team at Julex after graduating from nearby Babson College with a BS in Business Administration and a dual concentration in Computational Finance and Quantitative Methods. While at Babson, he studied topics such as the Options and Futures Market, the function of various fixed income instruments, how to perform financial simulation and run time series forecasts, and how to value risky securities. In addition, he was able to pursue of a wide range of interests, both pure and applied, in mathematics and statistics disciplines. Most notably, he presented his independent research on “The Applications of Linear Algebra to the Optimization of Baseball Strategy” at the New England Symposium of Statistics in Sports in 2017. 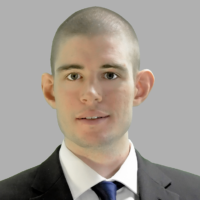 Prior to joining Julex, Liam worked as a contractor for MFS Investments on their Offshore Fund Treasury Team, and as an intern for MassMutual on their Trading and Valuation Teams.